​In 1949, the bandshell was built as a permanent home for the Lebanon Band. Over time, improvements have been made to the lighting, an epoxy floor was put on the stage, and a riser was added for better vision by the band. The Lebanon band holds three concerts during the summer - June, July, and August. Other activities are posted on a Facebook page. From Chuck Werth, the Lebanon Town Historian and Curator of the Lebanon Historical Society Museum and the Karl Greve Log Cabin. The Lebanon Band, which has performed in this bandshell since 1949, is the oldest continuous community band in Wisconsin. Its roots go back to two church bands organized in 1890 and 1897 respectively. The one band organized in 1890 with members from two local churches—Immanuel Lutheran Church and St. Paul’s of Old Lebanon (Pankow’s Church which no longer exits). It reorganized in 1906 as the Lebanon Cornet Band. In 1897, when St. Peter’s Lutheran Church of Trechel (New Lebanon) acquired an organ, the ensemble that had been leading singing since 1882 organized as the Lebanon Concert Band. 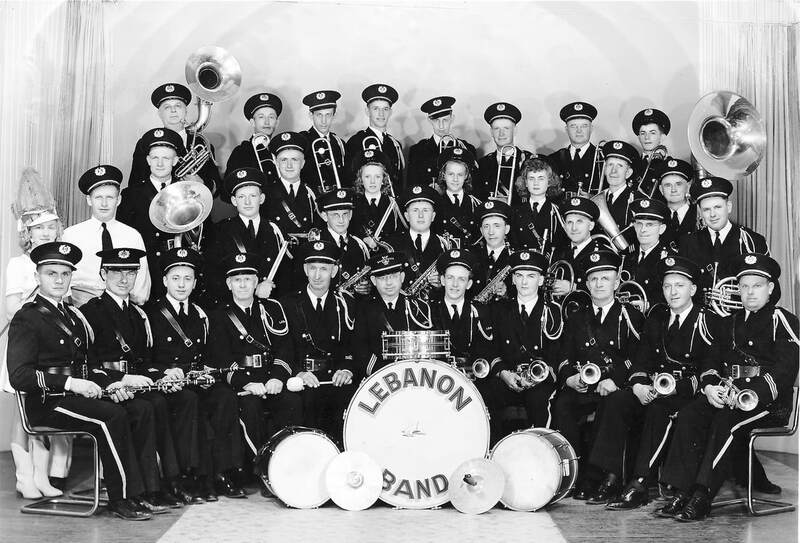 The Lebanon Cornet Band (Immanuel) became inactive in 1936, but the Lebanon Concert Band (St. Peter’s) remained active through 1939. At that time, it was proposed that the inactive Immanuel band merge with the active St. Peter’s band to form the Lebanon Band. Thus, the Lebanon Band has an uninterrupted history of performing from 1890 through the present. Today, fourth and fifth generations play in it. From the band's website: "The Lebanon Band stresses the love of music an strong attachment to family and community. It is a true monument of the German culture and heritage of Lebanon".